Is your next destination Queensland? 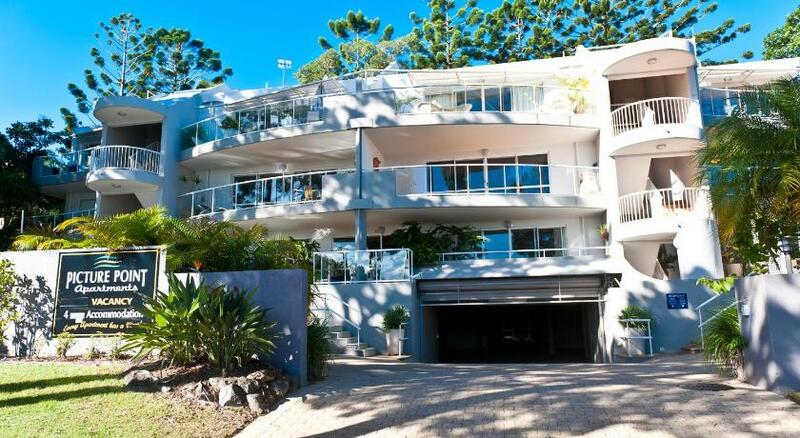 Noosa Heads is the finest town to stay and this apartment will make your stay memorable. Picture Point Apartments is suitable accommodation that is the greatest for your accommodation needs. Located on the hillside behind Noosa’s popular Hastings Street, with magnificent views across the Noosa River, Picture Point Apartments boasts a heated pool, spa pool, sauna and BBQ facilities. Each of these fully equipped apartments includes a well-appointed kitchen, individual laundry facilities and air conditioning. The spacious living areas include a flat-screen Television with DVD player. Penthouse apartments are available, boasting a rooftop terrace area with spa bath and panoramic river and filtered views of Laguna Bay. Some penthouses also offer a private sauna. Free secure underground car parking is provided. Picture Point Noosa Apartments is situated only 30 minsâ€™ drive from Sunshine Coast Airport and 90 minsâ€™ drive from Brisbane International Airport. This property has been online since Jun 28, 2012.